 The Harvey Mudd College Mentoring Program, Mudders Mentoring Mudders (M3), was created so alumni, faculty, and staff could provide support for Mudders from sophomore through senior years. The program was conceived in 2011 by Lupita Bermudez ’09, as a result of the major impact a mentor made on her career at Harvey Mudd. After carrying out research in the primary literature, Lupita discovered that mentoring increases student retention and boosts students’ overall well-being. Furthermore, it has an especially large effect on underrepresented students, who often report feeling isolated at Harvey Mudd and typically have higher rates of attrition. M3 is designed to provide support for Mudders at the fall of their sophomore years, which has traditionally been the most stressful point in college for students. Students report that in their second year, many of the support mechanisms present in the first year fall away, while their course load increases in intensity. The program is open to all students who apply. and attend various mentoring activities per year.